Wondering what to eat during pregnancy? You know the saying, “You are what you eat”? Well, the same is true for your baby – “Your developing baby is formed from what you eat.” The best prenatal care you can give yourself and your baby is to eat a whole food pregnancy diet. Nutrition is one of the most important part aspects of your pregnancy care because what you are eating daily is going to help form your developing baby. It is also a part of your pregnancy you have total control over. A mother that listens to her body’s needs is one that is more likely to eat foods she is craving, less likely to restrict her weight, and will enjoy eating healthy foods in her pregnancy. Women who eat a whole food diet before pregnancy and during pregnancy are more likely to continue eating that way during breastfeeding and beyond. Continuing good eating habits beyond pregnancy helps to create a rich and plentiful milk supply. You can even pass these excellent eating habits on to your children when they are older. Restricting whole foods, weight gain, protein intake and/or water intake may put your baby at risk for low-birth weight, premature birth, or unforeseen long-term health problems such as obesity and type 2 diabetes as an adult. Research has shown that poor nutrition in late pregnancy can affect the brain development of a baby. Women who have poor nutritional intake are also at a higher risk for miscarriage and preeclampsia. 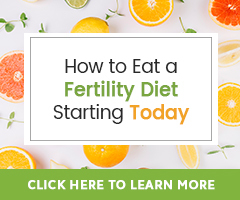 We are huge proponents of eating a Fertility Diet in preparation for pregnancy and we feel it is just as important to continue eating extremely well through pregnancy as well. There are very important diet tips specific to supporting a healthy pregnancy; the focus is on getting enough protein, vitamins, minerals, and fats by eating a variety of whole foods and making good choices with nutritional supplements. At first it may be hard to get enough of your daily requirement of protein, since you will need to be consuming at least 70-90 grams of protein a day. Typically, an adult woman needs to eat 45-50 grams of protein a day. This is a big difference at first. As time goes by, you will find that you may not feel well if you don’t meet your protein intake each day. You may become fatigued, have higher than normal brain-fog; you may feel generally out-of-sorts, become irritable or feel sick. Learning ways to get enough protein without being overwhelmed will pay off. Below are some foods and their protein content in grams. Get creative with your protein; add foods to smoothies to get a lot of protein in one delicious meal. Snack on high protein foods throughout the day. The chart below should help you to see what food have the highest amount of protein. Write down what you are eating every day for a week; make sure you write down the amount (for example l cup of cottage cheese) of everything. At the end of each day, tally how much protein you approximately ate. This will let you see if you are getting enough protein each day, as well as show you what you are eating. Are you creating enough healthy variety by including all kinds of foods? All are 3-ounce servings unless otherwise noted. Healthy nutrition is vital to a healthy pregnancy! Before purchasing several different vitamin, mineral, or other nutritional supplements, be sure you are taking a high quality whole food prenatal multivitamin first! A whole food diet and prenatal vitamin are your foundation for a healthy pregnancy. Even if you are eating a whole food diet you may not be getting enough nutrients required for pregnancy. A whole food prenatal vitamin ensures that you do. Choosing a prenatal vitamin that is made from 100% whole foods or some whole foods is important. Avoid synthetic vitamin sources when possible, which often contain unnecessary fillers, colors and preservatives. In addition to your prenatal vitamin, the following nutrients may need to be additionally supplemented to help support your pregnancy. It is important that you begin taking folic acid before pregnancy occurs; this is because, in the first few weeks of formation your baby’s spinal cord is forming. Folic acid has been found to help proper formation of the spinal cord; proper formation includes the closing up of the back around the cord. A baby that is born with the spinal cord exposed (spina bifida) is at risk for serious problems including paralysis, infection, and incontinence. A good whole food women’s multivitamin and prenatal vitamins should contain adequate amounts of folic acid, so you may not need to supplement additionally with folic acid. Your women’s whole food multivitamin should contain at least 400mcg of folic acid. Your prenatal vitamin should contain at least 800mcg of folic acid. Folic acid is commonly listed as folate on the product label. In preparation for conception, building up your own calcium stores is very important. Once you are pregnant, you will have ample stores and will be eating daily calcium so the baby is getting all that it needs and your teeth are staying healthy. It is important to get enough calcium every day because your baby’s body will be calcifying its bones. If you do not consume enough calcium, your baby’s placenta and body will take it from your bones. Lack of calcium can also cause painful leg cramps in pregnancy. Even if you are taking a good prenatal vitamin, you may need to supplement calcium. It is best to take calcium on an empty stomach with magnesium and vitamin C for proper absorption. Suggested supplementation is 1000mg a day. It is important to note that oxalic acid in spinach, mature nettles, and cocoa may reduce absorption of calcium in the body. This mineral plays an important role, along with vitamin D and calcium, in bone and tissue development in the fetus as well as your own body. Along with calcium, it may also help prevent leg cramps. Zinc helps you to keep a strong immune system, heal wounds, metabolize fats and helps to regulate gene expression. Vegetarians and vegans are more likely to have a zinc deficiency. Deficiency in zinc may cause preterm labor and/or poor fetal development. Salt your food to taste. Do not skimp on it, but do not go overboard either. Pregnancy is not a good time to skip the salt. Salt helps to maintain electrolyte balance and retain fluid. Choosing a natural salt, like unrefined sea salt, would be best as it contains trace minerals and has no additives like anti-caking agents. Talk to your doctor or midwife about a sodium intake that is just right for you. Did you know that your blood volume will increase 50% during pregnancy? Iron helps this increased blood volume because it is vital for formation of blood cells as well as transportation of oxygen to blood cells. Adequate iron intake is very important during pregnancy. There are two sources of iron, heme (from animal sources) and non-heme (from plant sources). Heme iron is easier to absorb by the body than non-heme iron. To aid in absorption of nonheme iron, it is suggested that a good food source of Vit. C rich foods be consumed at the same time as eating iron-rich plant sources. Iron deficiency can lead to anemia. Your doctor or midwife will be checking to see if your iron levels are adequate; if they are not you may need to supplement iron. Most iron supplements are constipating, not great when you are pregnant; choose a whole food iron supplement such as Blood Builder by Megafood or Iron and Herbs by Floradix. They are non-constipating and are easily absorbed. Suggested supplementation is 30mg a day. Tannins and caffeine in beverages such as coffee, black tea, and soda pop may deplete iron. Cooking in cast iron cookware has shown to up levels of iron in your food. After your baby is born and you are breastfeeding you may not experience a menstrual cycle for some time; in this case your iron intake may decrease. Vitamin D helps with calcium and phosphorus absorption, essential to healthy bone formation. It also helps to support the immune system, regulating cell growth, helps reduce inflammation, increases muscle strength, aids the body in hormone production, and may help prevent depression. New research is showing that pregnant mothers may benefit from supplementing additional vitamin D outside of their prenatal vitamin to help prevent premature labor, preeclampsia, gestational diabetes, and infections. Traditionally 400 IU of vitamin D3 daily is the suggested recommendation for pregnant women, but several experts are now suggesting supplementation should be up to 1000 IU per day. Excellent sources of vitamin D include eggs, fatty fish, and dairy, as well as taking cod liver oil. Instead of worrying about how much fat you eat in pregnancy, you need to be concerned with the types of fats you are eating. During your pregnancy, you will be using up your fat stores to help sustain your growing baby. Humans need a certain amount of saturated fats to produce cholesterol. Cholesterol is needed for formation of healthy cell membranes and is a precursor to all steroid hormones (progesterone, estrogen, FSH, etc.). In order to maintain proper hormonal balance, you need to be consuming adequate amounts of healthy saturated fats. Healthy fats are essential to a healthy pregnancy. Fats help produce healthy hormones. Good fats like omega-3 help develop a baby’s brain and nervous system, especially in the last trimester of pregnancy. EFAs also help your body to increase absorption of fat-soluble vitamins A, D, E and K. Many foods today are fortified with Omega-3s; this may help you to get a good amount of them in your diet. During pregnancy and breastfeeding, your baby will be consuming Omega-3 DHA (docosahexaenoic acid) from your body. If you are not consuming enough DHA, you are at a higher risk for pregnancy complications as well as postpartum depression. 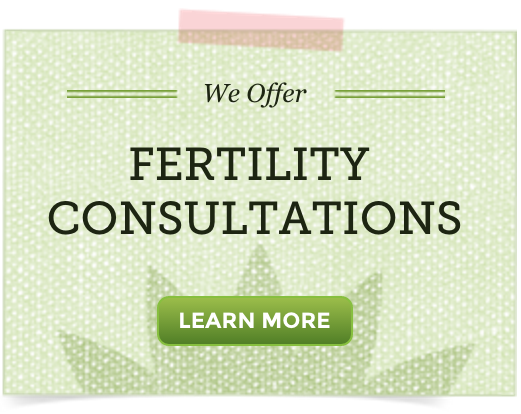 It is important to begin consuming EFAs before conception to build up reserves for when you do become pregnant. Be sure to consume some EFAs each day or take an omega supplement like Cod Liver Oil. Cod liver oil also supplies ample amounts of vitamin D3 and vitamin A. Note: If your family has a history of peanut allergies you may want to avoid peanuts during pregnancy as some new research has suggested that a fetus exposed to peanuts in the womb may develop peanut allergy. This includes avoiding peanuts while breastfeeding as well. One of the main roles of antioxidants is to protect cells from free radicals. Free radicals are unstable molecules that can damage cell structures and lead to numerous illnesses. When an antioxidant encounters a free radical, it engulfs it and creates a weaker free radical that can do no further harm. A ‘sister’ antioxidant then reactivates the spent antioxidant so it is available to go on protecting other cells. Eating a diet rich in antioxidants may ensure proper formation of your baby’s cellular structure, including protecting DNA from being altered, reducing the chance of miscarriage, birth defects, and developmental problems in your baby. Studies have shown that 93% of blood samples from pregnant women and 80% from umbilical cord blood test positive for a variety of toxins commonly injected into genetically engineered foods crops, as well as pesticides, herbicides, and fertilizers. These toxins are all linked to hormonal disruption and a variety of other health issues. Eat only organic animal products. Animal products that are not organic may contain added hormones and are fed a diet of GMO grains and non-organic feed. These mimic hormones in the body and concentrate in animal fat stores. We have learned that exposure and consumption of pesticides, herbicides, synthetic fertilizers, and GMO foods can create hormonal imbalance through endocrine disruption and suppressed immune function. Conventional fruits and vegetables are regularly sprayed with these chemicals and then not only do we eat them daily, but so do animals that are raised for meat. If you eat non-organic meats, you are being doubly exposed to these toxins. This is because xenohormones become more concentrated as they move up the food chain. Xenohormones are often stored in the fat cells of animals. The fattier the meats you are consuming, the more xenohormones you are consuming. For example, if you are eating 80% lean/20% fat beef, you may be consuming a variety of toxins that cow has stored in its fat. What was that non-organic cow eating? Well, conventional beef is raised in feedlots. They are fed corn and soy feed. On top of that, not only are these crops genetically altered, they are sprayed with pesticides, fertilizers, and herbicides. The cows eat this every day. These animals live in horrible living conditions and are given antibiotics to stave off the spread of disease. In February of 2011, the FDA released a report stating that 80% of all antibiotic sold in the US are sold to animal agriculture. Regular exposure to antibiotics may alter immune system function for you and your baby. Why does this matter? Xenohormones are endocrine disruptors, not just for you, but for your baby as well. Pregnant women should drink at least 10 cups of water a day. Dehydration can cause nausea and may cause contractions in the second and third trimester. Get in the habit of carrying a water bottle with you. Because your blood volume is going to increase greatly, your fluid intake will as well. You need to stay hydrated! Avoid fluids that contain carbonation, sugar or caffeine; those can be dehydrating. Fresh vegetable and fruit juices, some herbal teas, as well as milks are encouraged, but most of your fluid intake should come from fresh purified water. Ditch the plastic water bottles though, as those contain toxins that may contribute to hormonal imbalances and can be passed on to your baby. Choose BPA free, glass or stainless-steel water bottles when possible. Once you are a breastfeeding mum, you will need to increase your water intake to 12.5 glasses of water a day. If water is boring you, try adding lemon, lime, orange, cucumber, or fresh mint sprigs for a burst of natural flavor! The main goal to eating healthy in pregnancy is to eat a wide variety of whole foods, as close to their natural state as possible. Take nutritional supplements when necessary and be sure you are receiving healthy prenatal care from your midwife or doctor. Largeman-Roth, Frances (2009) Feed the Belly, Sourcebooks Inc.
Great blog post! It is informative. In addition, probiotics can help lactating mothers improve their health. Nutrition is one of the most important part aspects of your pregnancy. It is good for you that you know what to eat during pregnant. We know many women’s healthcare providers suggest probiotics supplements in pregnancy. Having a strong microbiome all the time is a good thing!